Rupert Murdoch just did something highly unusual: He gave an interview to one of his newspapers about contract negotiations at one of his TV networks. Murdoch told the Wall Street Journal that he would like to renew the contracts of the two biggest stars on Fox News, Bill O'Reilly and Megyn Kelly. But he also laid the groundwork for Kelly's potential departure from Fox. While making clear that he doesn't want Kelly to leave, Murdoch told Journal reporter Joe Flint, "we have a deep bench of talent, many of whom would give their right arm for her spot." Kelly is the 9 p.m. host on Fox News. Her contract is set to expire next summer. Through the Journal, Murdoch confirmed that Kelly and Fox are in active negotiations about a new contract. He said he is kept up to date on the talks "every minute of the day." Normally these kinds of talks happen in secret. Agents and TV executives guard against possible leaks. Case in point: Prime time CNN anchor Anderson Cooper recently renewed his deal, but the news only came out via sources after the contract was signed. Kelly and Murdoch, on the other hand, are now effectively negotiating in public. Murdoch rarely grants interviews at all, so his decision to speak suggests some drama behind the scenes. Vanity Fair's Sarah Ellison recently reported that Murdoch and his sons James and Lachlan, who jointly run 21st Century Fox, want Kelly to renew her contract before she begins a book tour next month. Kelly's book "Settle for More" comes out on November 15, and while she is promoting it she will undoubtedly be asked about her future at Fox. Kelly has been reluctant to renew so quickly, according to a person who has spoken with her. She is genuinely torn about staying at Fox, a network known for its conservative bent, or moving to another network. Hosts like Kelly are sometimes restricted from having formal talks with rival networks until their contracts are about to expire. But executives at other networks have made it clear that they'd be interested in talking with her. Kelly has one of the highest-rated shows on cable news, and she has talked about wanting to broaden what she does, "in the vein of Charlie Rose" or Oprah Winfrey, according to a Vanity Fair profile earlier this year. The Murdochs have many potential outlets for Kelly, including the Fox broadcast network. But a prime time special she hosted in May did not live up to (admittedly inflated) expectations. 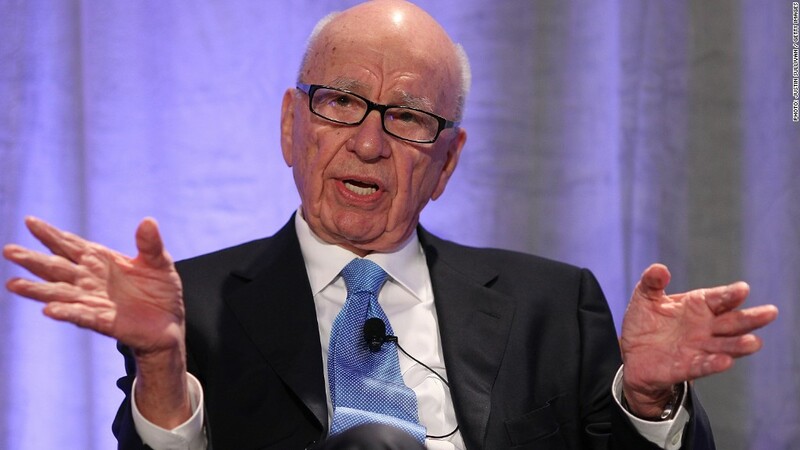 A spokesman for Murdoch had no further comment on Wednesday night. A spokeswoman for Kelly did not respond to a request for comment. The Journal story was posted online just half an hour before Kelly's show started. The headline was "Megyn Kelly Seeks Salary North of $20 Million in Contract Talks With Fox News." O'Reilly, the 8 p.m. host on Fox, gives Kelly a huge ratings lead-in every night. While his contract has received less attention, it is due to expire at the end of 2017, and Murdoch told the Journal that "we're going to want Bill to stay with us." O'Reilly was quoted in July as saying, "I don't want to work this hard much longer." Losing Kelly, O'Reilly or both hosts would create serious challenges for Fox News. The network already has to replace 7 p.m. host Greta Van Susteren, who left in September. Her replacement, Brit Hume, has said he will only host until Election Day.